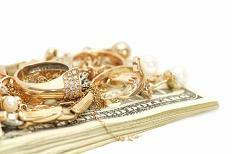 Turn your unwanted Gold & Jewelry into CA$H! Our store is located between 49th Street and US19 on Roosevelt Blvd. Need cash? We buy merchandise or offer 30-day loans. Many items for sale, including jewelry, coins, dvds, newer TVs, game systems, and much, much more. The store has been here for more than 20 years. We purchased it, recently, from the previous owner. Who are we? Jim and Nola, originally from Central Illinois. 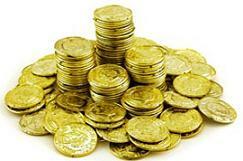 Services: 30-Day Loans, Jewelry Repair, Watch Batteries installed (ONLY $4), Coin Appraisals & Sales. Coupons & Additional Information available under Resources. We loan money on your merchandise, or we buy your merchandise from you. We pay TOP $$$ on ANY and ALL GOLD! We buy BROKEN GOLD & JEWELRY! No Credit Checks on Pawns! Quick Loans on Merchandise! Copyright Quick Cash Pawn East, LLC. All rights reserved.